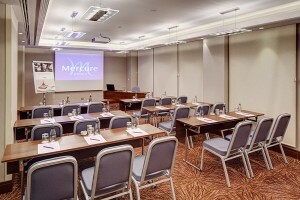 Mercure Istanbul Taksim is a wonderful choice if you’re looking for a hotel located at the heart of Istanbul. Mercure Istanbul Taksim offers you a comfortable transportation advantage. Being one of the hotels near Taksim Square, the hotel can be found easily. From Ataturk Airport, you can prefer using yellow taxis or Havabus, on your way to reach the hotel. Taksim is known for being a location which includes historical buildings, great cafes, fancy restaurants, bars and exciting night clubs. Mercure Istanbul Taksim is a hotel near the Bosphorus. 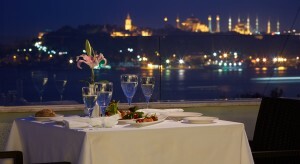 From the balcony of your room, you can see a fascinating Bosphorus view. Taksim Hotels have the advantage of being close to interesting places to visit as Taksim is very rich in important religious and historical buildings. For example; one of the prominent choices to add on your travel list is Galata Tower. It looks gorgeous at night with colorful lights on. Around Galata Tower, there are lots of cafes where you can sit and feel the unique atmosphere of Taksim. Saint Antoine Church is a central point if you’d like to see a place with religious value. Cicek Pasaji and Nevizade can be mentioned as areas which you’ll be able to enjoy tasty regional meals and drinks. Taksim is also really close to famous places which have big historical values. Located near Hagia Sofia, Basilica Cistern is an impressive building that will satisfy your traveling needs. This giant structure has underground marble columns with fantastic lighting. Hotels in Taksim are also at a close distance to Sultanahmet area where you can visit mosques with historical importance. Taksim is located at a point where you will have lots of different transportation choices. Using metro, you can easily travel to the most famous shopping centers of the city. Taking a bus or taxi, you can easily reach Besiktas where Dolmabahce and Topkapi Palace are located. Traveling further, Ortakoy is a place where you will be able to see the Bosphorus Bridge and an amazing seaside view. If you have the time, you can even discover the Anatolian Side of the city, after a great ferry ride.